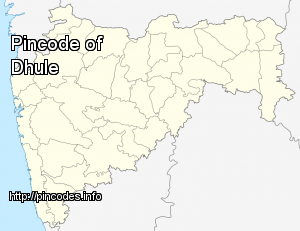 Dhule is a city and a municipal corporation in Dhule District in the northwestern part of Maharashtra state, India. 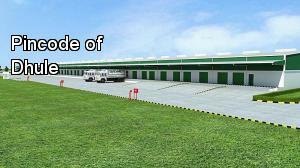 It is one of the very few well-planned cities in India. Dhule is widely known across the country for its architecture and urban design. The town planning of this city was done by Sir Mokshagundam Visvesvaraya. Dhule is largely emerging as one of the biggest upcoming hubs of Textile, Edible oil, and Power-loom across the state and has gained a strategic advantage for being on the junction of three National Highways viz. NH-3, NH-6, and NH-211 and on most anticipated Manmad - Indore Rail Project. Dhule is also a part of Delhi Mumbai Industrial Corridor Project, India's most ambitious infrastructure program, aiming to develop new industrial cities as 'Smart Cities' and converging next generation technologies across infrastructure sectors. PM Modi laid the foundation stones of Sulwade Jamphal Kanoli Lift Irrigation Scheme and Dhule City Water Supply Scheme.